The portals of some importance, as expected, will not be involved at least at first by the restrictive policy of Google: the domains of “top10 Flash” – Amazon, Facebook, Twitch (who is testing a HTML5 version of the platform) only to name a few – will not face block while loading the plugin. The whitelist is in any case considered by the Mountain View as a temporary solution and the participants will try to take off as soon as possible – the maximum time in the list of exclusions will be one year. 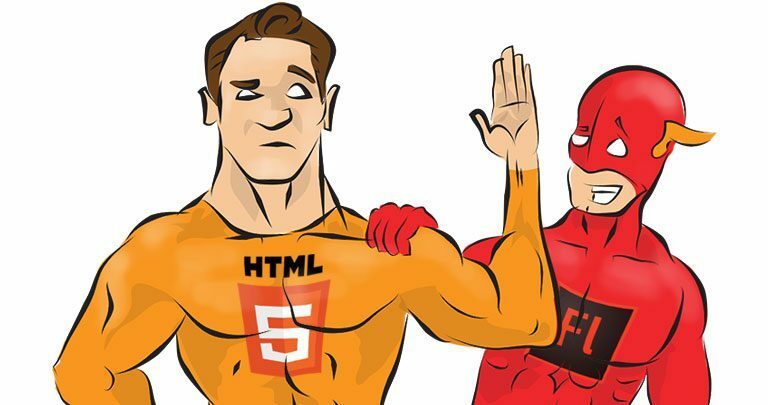 In the view of the above, although Flash placed at the edge, Flash will continue in any case to be present in the browser of the future in usage by the companies, developers, designers, and so on, at least until complex content such as flash games and applications is not perfectly replicable in HTML5. Cite this article as: Abhishek Ghosh, "HTML5 Replacing Flash On Chrome By Default," in The Customize Windows, May 19, 2016, April 23, 2019, https://thecustomizewindows.com/2016/05/html5-replacing-flash-on-chrome-by-default/.